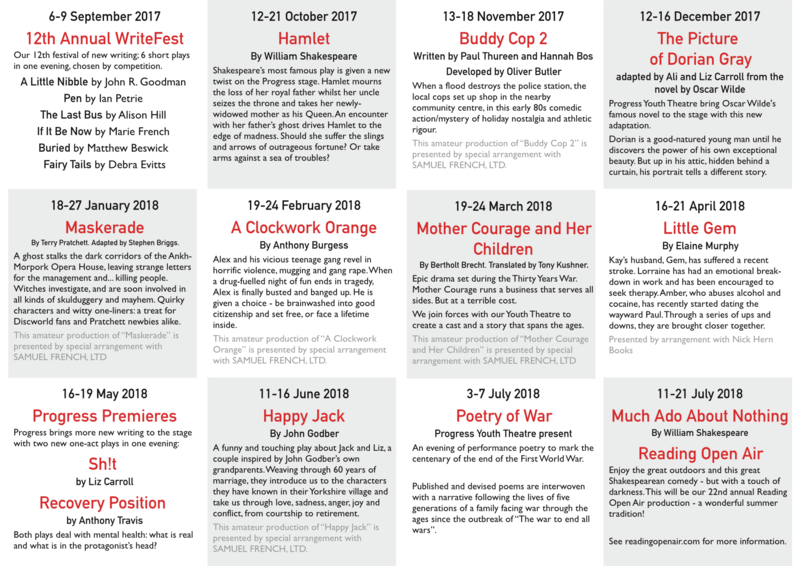 We are proud to announce an exciting programme of plays for our 2017-18 season. Two of Shakespeare's plays - one tragedy on stage and one comedy in the open air, eight new works, two classic novels brought to the stage, more comedy, more drama and some poetry - there really is something for everyone. 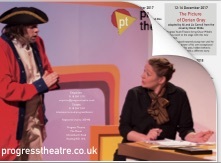 See What's on for more details of our plays and other events.